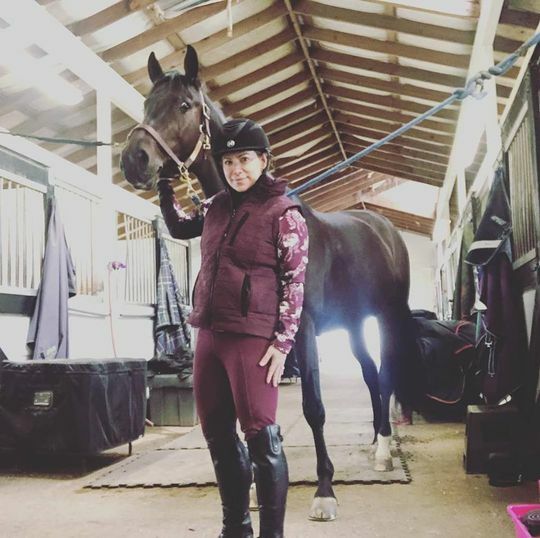 A key component that keeps your core warm and adds versatility to your wardrobe, this vest is designed for the saddle with a slightly shorter equestrian hem and drawcord at the collar that cinch in for extra warmth. Lightweight, poly-loft performance fill is quilted in a subtle houndstooth that echoes the stylish inner liner in the pattern that gallops through this season’s line like hoof prints across the pasture. true to size and is very comfortable. I will love the vest when I receive the smaller size. I've always loved Kerrits products the fabrics are beautiful and the fit is great ! Excellent value and they are very long wearing. I’m a fan of every vest ever made by Kerrits but this one is even more beautiful. It’s flattering and warm and you’ll find yourself wearing it three seasons! Great colors too. The houndstooth is super subtle but adds interest. A little stiff, but comfortable.